So by now you’ve probably heard about the new hotness that is microservices and the platform for delivering it Kubernetes. Put simply Kubernetes is a platform for managing container orchestration (i.e running the container on multiple compute nodes and ensuring all required resources are present). Historically, Kubernetes has been a bear to install. Back in the olden days you were stuck manually configuring individual daemons before you got to a usable state. Nowadays though, there are a wide variety of ways to get at Kubernetes and instantiating a cluster is actually about as easy as establishing a LAMP or MEAN web stack. Meaning there’s still effort, but it’s pretty trivial compared to the effort that’s going towards the actual non-Kubernetes work. In this post I’m going to walk you getting a basic Kubernetes cluster running up to the point where kubectl get nodes returns a list of nodes all of which are in a Ready state and we’re able to deploy a vanilla nginx deployment and verify that the default loading page shows up in our browsers. Each “method” section should be self-sufficient and make no reference to the others so please pick the one you’re most interested in rather than reading the whole thing (or do read the whole thing, it’s a free country and I’m not your dad). kube-apiserver: A REST API backed by etcd for persistent storage. This is where all the configuration for Kubernetes goes and 90% of what you deal with on Kubernetes is purely configuration. kube-controller-manager: A control loop for taking the current state of the cluster as described by the API server and changing the rest of the configuration in such a way that it will eventually meet that state. When you create a new deployment, the controller manager spawns a process that goes through the work of actually creating all the container Pod objects that need to exist. When a node goes away, the controller is the part that notices this and creates a new pod in the same style as the deployment. kube-scheduler: Actually assigns pods to nodes. Conceptually it’s relatively simple compared to the controllers but makes up for it by being highly responsive to policies (such as quality of service) it finds in the API server. kubelet: which is the main kubernetes client. Listens to the API and interacts with the container runtime to actually perform on the kubernetes worker node the actions that the servers have determined need to happen. This involves actually implementing resource constraints, mounting volumes, pod networking, performing health checks etc. kube-proxy: secondary kubernetes client listens to the API and creates the real-world implementation details for connecting to the exposed resources running on Kubernetes. It implements this through such means as spawning workers to listen on ports and creating iptables rules to route traffic to the correct locations. That’s an incredibly rudimentary overview of Kubernetes but it’s useful information to have so that you have a good sense of what the sections below are actually accomplishing. minikube is the Kubernetes deployment type aimed at individual developers and those looking to learn Kubernetes on their own. For these people, just having a single node they can deploy a service to is enough to get their head around things. Luckily this is pretty easy to do with minikube which will connect to the hypervisor on your desktop system and create a VM called “minikube” on which an entire instance of Kubernetes will run. I’m going to assume that we’re going to have the minikube VM running via KVM. VirtualBox and HyperV are also possibilities but I’m just going to explain one way of doing it here. Selecting previously unselected package minikube. Please note that by the time you read this the URL for this might have changed, so please get the URL you use to download the .deb file from the current releases page. If the master node is in a Ready state then that indicates your installation completed successfully. The kubectl run instructs Kubernetes to create a new deployment called nginx using a docker image also called nginx which will be pulled down from DockerHub if it doesn’t already exist. The kubectl expose instructs Kubernetes to expose the known application port (the --port 80 in the previous command) as a Kubernetes service of type NodePort. The NodePort type of service will allocate a random available port on the worker node (in this case the minikube VM) to the deployment we craeted. We find out what port it allocated by running kubectl describe service and grep’ing for the NodePort: field. Finally, we need to know what IP address our master node was allocated. To do this we run kubectl describe node on the only node we have at the moment and filter for the InternalIP: field. So putting it together if I visit http://192.168.122.107:31498 I should get the nginx landing page indicating that my browser is able to connect to the nginx instance running on minikube. In my case it indeed worked. E0809 14:55:56.534263 21364 start.go:174] Error starting host: Error getting state for host: VBoxManage not found. Make sure VirtualBox is installed and VBoxManage is in the path. E0809 14:55:56.534627 21364 start.go:180] Error starting host: Error getting state for host: VBoxManage not found. Make sure VirtualBox is installed and VBoxManage is in the path. In this case, manually specifying kvm for virtualization wasn’t enough since it could find the VirtualBox utilities. I had to uninstall all VirtualBox-related binaries and then delete the local minikube config with rm -rf ~/.minkube in order for the commands above to work as expected. In general, this is a good MO when setting up minikube. A lot of stuff gets cached locally and even if you fix the underlying issue, you may still be running into errors. Since you’re setting it up, just delete all local configuration and let it regenerate to get around any invalid cache values. Of all the options in this guide, this is definitely the longest way to install Kubernetes but it’s pretty entry-level since it takes advantage of OS-level knowledge you probably already have. For this scenario, let’s assume you have five Ubuntu systems: two soon-to-be-master Nodes, and three soon-to-be-worker nodes. Each system has 10GB of storage, a single CPU core and 1GB of memory. Obviously these aren’t production systems but they suffice for the task of getting Kubernetes running. The means of preparing the systems for Kubernetes is the same regardless of whether they’re going to be a master or a worker. First thing first, disable any swap you have on any of the nodes with swapoff then remove it from fstab as well so it doesn’t come back. The logic behind Kubernetes not allowing swap is complex but essentially it boils down to some of its logic behind making performance guarantees breaking when some pages may be swapped whereas others may have it in physical memory. Download the new repo’s metadata with apt-get update. Once all the nodes have been prepared we can start the actual process of getting Kubernetes running. Now that each node has the repos configured and the OS made ready, let’s bootstrap the new cluster on kube-master01. To do that we install the required Kubernetes software from the repository we configured in the previous section by issuing a apt-get install -y docker.io kubeadm command. [certificates] apiserver serving cert is signed for DNS names [kube-master01 kubernetes kubernetes.default kubernetes.default.svc kubernetes.default.svc.cluster.local] and IPs [10.96.0.1 192. [markmaster] Marking the node kube-master01 as master by adding the label "node-role.kubernetes.io/master=''"
That’s a lot of text output but I thought it was important to see what a successful bootstrap looked like. As stated in the output above, this process creates a file at /etc/kubernetes/admin.conf with the YAML configuration containing the user certificates for authenticate to the API. To use it copy it to ~/.kube/config for every user you wish to be able to administer Kubernetes on every single node in the cluster. For now you can ignore the “pod network” message since we’ll deal with the overlay network in a bit and skip ahead to registering the nodes to this master. To do that copy the kubeadm join command it gives you at the end, this is the command that will join the workers. OK enough jibber jabber, let’s register those worker nodes. [discovery] Trying to connect to API Server "192.168.122.11:6443"
[discovery] Created cluster-info discovery client, requesting info from "https://192.168.122.11:6443"
[discovery] Cluster info signature and contents are valid and TLS certificate validates against pinned roots, will use API Server "192.168.122.11:6443"
[discovery] Successfully established connection with API Server "192.168.122.11:6443"
Installing kubelet (the main client, includes kube-proxy) and then kubectl and kubeadm commands so we can easily communicate with the master. These last two are functionally required for Kubernetes per se but they are required for the workflow I’m showing you here. The first argument is just the IP address and port the API server is listening on. This communication is all sent over HTTPS for security. We ensure our initial requests include a valid token to prove to the API server that this client server is authorized to join to the cluster (as opposed to just some rando wanting to join to destabilize the cluster). Finally we have the certificate hash which is used to verify the server certificate. This verifies the master to the client (as opposed to the previous step of authenticating the client to the API server). This isn’t strictly required to join but it prevents a false “master” being presented to the worker node and then either capturing the token for the previous attack or sending false pods to the worker node for things like crypto mining or launching other attacks. At this point, the only thing stopping our cluster from going live is the lack of an overlay network. Developed originally at Google, the earliest iterations of Kubernetes were written with their networking in mind. This causes it to break on pretty much anybody who isn’t Google. To work around this issue (as well solve other problems like encryption) overlay networks were created to service this need. root@kube-master01:~# kubectl apply -f "https://cloud.weave.works/k8s/net?k8s-version=$(kubectl version | base64 | tr -d '\n')"
We use kubectl apply instead of kubectl create so that any future versions of the YAML file will only override the listed attributes rather than trying to create new objects with the given attributes. Even though the weave process is in a container, the DaemonSets will have appropriate levels of access for creating a VPN tunnel to all the other nodes in the cluster. We apply directly from A URL but it’s also possible to download the URL above and edit the YAML file directly before applying it. In fact this is required when you want to set the WEAVE_PASSWORD environmental variable to enable network encryption. If you see output similar to the above, congratulations: Your Kubernetes cluster is now fully functional and read to accept work. At which point, using my web browser to navigate to port 32188 on any node (for instance http://kube-master01:32188 or http://kube-worker02:32188) causes a familiar nginx landing page to pop up indicating that it connected to the web browser operating in a container. If you need to join a new node after the original bootstrap token has expired (as indicated by kubeadm token list output) then you can generate a new bootstrap token with the kubeadm command like so: kubeadm token create --description 'creating new token' --ttl 1h --usages authentication,signing --groups system:bootstrappers:kubeadm:default-node-token which will spit out a new token to use (limited to the specified 1 hour). If you need to get a status description of your Weave overlay, just issue a curl http://localhost:6784/status on any node. If you need to institute encryption with Weave, either edit the YAML file before doing the kubeadm apply above or issue a kubectl edit daemonsets --namespace kube-system weave-net command to be presented with a temporary YAML file to edit instead. Add an environmental variable called WEAVE_PASSWORD to the weave (not weave-npc) container set to whatever you want the password to be set to. In the case of editing the existing DaemonSet, the update will be pushed out in a rolling manner so expect the nodes to go offline one-by-one as encryption is enabled for it. After successfully deploying the change all nodes should show Encryption: enabled in its Weave status page. kops is a tool written in golang and is a tool that is actually part of the official Kubernetes repository and allows an administrator to quickly and easily spin new clusters up in a “cloud native” fashion. For the previous two sections, you installed on already-configured and already-provisioned nodes. For kops the nodes will be configured upon invocation. In this way when the need to provision a new Kubernetes cluster arises, you can quickly spin one up. Though it requires some setup time (mostly getting API and SSH keys in order) you’ll find that going from “nothing running” to “an nginx server running inside of a k8s pod” is incredibly faster, sometimes happening as quickly as 10-15 minutes. For this example, I’m going to use AWS since that’s the cloud provider that kops has the best support for but it already has at least Alpha-level support for Google Cloud and DigitalOcean. It’s possible that by the time you read this it’ll be production quality. An S3 bucket for kops to throw its cluster configuration into. An SSH key present on the local system and added to the AWS web ui. Additionally, if it has AmazonRoute53FullAccess you can do non-Gossip based Kubernetes, but the DNS presented here is Gossip-based so this permission is optional for following this guide. You can generate new access keys in the IAM console underneath Users then selecting the target user and underneath the Security Credentials tab there’s an option for generating a new key for this user. You can run this in the command line or alternatively put it into your .bash_profile if you plan on working with kops a lot. Alternatively, you may wish to configure repositories your trust rather than the above. The above was just faster to show. Once your environment has been setup and the binaries are in place ready to be executed, you can finally use kops. The preceding may have seemed like a lot to do, but it’s certainly a lot faster than manually installing Kubernetes using the more traditional approach outline in the “Method #2” section. and then you just wait until the kops update command above completes. After about 5-6 minutes (YMMV though) you’ll have a fully functional Kubernetes cluster. We use create cluster to generate a new cluster rather than delete or edit one. We manually set the network overlay to use Weave (as in all other methods) rather than the default kubenet overlay. This is optional if you have no preference, I just prefer Weave. We tell kops the specific zone (rather than just the general us-east-1 region) we want to deploy to. In the case of multiple cloud providers kops may use the structure of the zone name to infer the cloud provider you’re targeting (otherwise you can use --cloud to manually set it). Finally we give the cluster a globally unique name. As long as the name ends in k8s.local then kops will understand to not attempt any sort of DNS management and instead use gossip-based DNS to allow the nodes to find each other. If we wanted more nodes than three we could change the default by adding --node-count <count> to the command line options. Huzzah! We have a new Kubernetes cluster to play around with. The services of type LoadBalancer have logic internal to them that enables them to automatically configure the Load Balancer instances on EC2. [me@workstation ~]$ kubectl describe service nginx | grep "LoadBalancer Ingress"
Which, when I loaded the above, works. Yay. Given that kops itself is an automated process that provisions from scratch, it’s kind of hard to do something wrong with it. Usually issues with kops on AWS boil down to either using a command line option incorrectly, or having access level issues with the user you’re trying to authenticate as. If you attempt a kubectl get nodes and get only Unable to connect to the server: EOF back, this is usually due to jumping the gun after provisioning the cluster and you should wait five minutes or so before attempting to run it again. 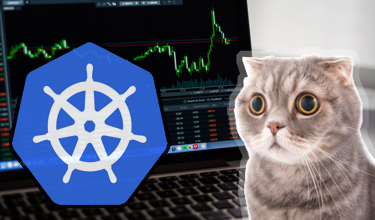 kubespray is an interesting tool that actually leverages an existing skillset (Ansible configuration management) for spinning up Kubernetes clusters. With minimal tweaking you can install a wide variety of cluster configurations. It’s nowhere near as fast as kops but has the added benefit of working with any hosting provider. As long as ansible-playbook is able to establish an ssh session and get to root then you’re good. For the target VM’s I have three Ubuntu 16.04 LTS systems running with 2GB of RAM and two CPU cores. One (kube-master01) will house both the persistent etcd database as well as the Kubernetes server components (which kubespray packages together by using hyperkube) while the other two (kube-worker01 and kube-worker02) will be the workload nodes. You will need to ensure passwordless logins from the provisioning via public keys before beginning. Additionally, each of the three nodes needs a current version of the python interpreter present. For the provisioning system, you need the same basic software requirements as to run any sort of ansible-playbook command. If in doubt there’s a requirements.txt file in the git repository you’ll clone down later and doing a pip install -r requirements.txt should be enough to get the required Python modules in place. Full explaining what’s required to get ansible-playbook running is a little out of scope for this guide though. remote: Counting objects: 25302, done. Receiving objects: 100% (25302/25302), 7.85 MiB | 6.27 MiB/s, done. Resolving deltas: 100% (13841/13841), done. After kubespray is available at the tested version, we can move onto actually defining the kind of cluster we want and bootstrapping it on the target nodes. Since this is just our first introduction, our needs won’t be too complex and so I’ll just modify the sample inventory. In a real world scenario you would probably want to rsync the stock sample inventory rather than overwriting it to preserve it as a reference though. kube-master is the host group for Kubernetes masters. In this case we just have the one. etcd are the nodes which will house the permanent etcd database. In our case we’re setting to to be the same system as kube-master but this needn’t be the case (and probably shouldn’t be on production systems). k8s-cluster:children defines which of the other host groups come together to form the k8s-cluster hostgroup. In our case kube-master and kube-node come together to form the entire cluster. Please note that all host names should be resolvable on the provisioning host or the ansible_host= argument used in the inventory file. After this point, you’re technically ready to bootstrap the cluster but let’s change one last thing so that instead of the default overlay network of Calico we’ll use Weave instead and additionally enable the encryption of network traffic between pods on different hosts. To do this we edit the inventory/sample/group_vars/k8s-cluster.yml configuration file, locate the kube_network_plugin key and set it equal to weave. Additionally, to enable encryption on the next line add weave_password = password123 (changing the password to something else that suits you). Be forewarned: As mentioned in the overview, this process is much slower than kops. One of its benefits is that it’s largely fire-and-forget though. I would give the entire process 20-30 minutes to complete (may be longer depending on a variety of factors). If it does, then congratulations you’re the proud owner of a brand new Kubernetes cluster. Examined the service to determine that the port that was allocated was 31582 (your port number will differ obviously). At the time of this writing, kubespray had issues with Ubuntu 18.04 not being able to install the Docker CE repositories due to pointing at an older repository. Using 16.04 works around this issue for the time being. Many of the errors I’ve had with kubespray relate to memory issues. Please allow at least 2GB of memory for each VM. Otherwise the playbook run may error out at seemingly random points with no mention of VM memory being the issue. If you have swap running on the systems, kubespray will disable it from running automatically but will not comment the line out in /etc/fstab so if you reboot one of the nodes and it begins failing to load kubelet again I would look at the swap configuration. If you attempt to install more than one Kubernetes master please ensure that the total number is odd. By design kubespray will error out on even number Kubernetes masters to protect a sense of quorum. In general, managed Kubernetes allows you to create a kubernetes cluster that natively supports things such as the addition and removal of worker nodes in response to load (i.e auto-scaling) and to do so using normal computer nodes (GCE, EC2, etc). Since I did AWS earlier with kops and because I think Google’s managed Kubernetes cluster (“GKE”) product is easier to use, I’ll move over to Google Cloud. First things first, we need to ensure that the gcloud SDK is available on our system. Setting that up is a little out of scope for this article, but here is the Google Documentation for setting it up on Ubuntu (subsequent commands are ran on Ubuntu 18.04.1 LTS but should work for other distros as well). Once installed and gcloud init ran through properly, you should be good to go on the client, and you need only enable the Compute API in the API Dashboard for your project if not already enabled. If you had to enable the API, then I would give their systems 5-10 minutes to register this event. WARNING: Starting in 1.12, new clusters will have basic authentication disabled by default. Basic authentication can be enabled (or disabled) manually using the `--[no-]enable-basic-auth` flag. WARNING: Starting in 1.12, new clusters will not have a client certificate issued. You can manually enable (or disable) the issuance of the client certificate using the `--[no-]issue-client-certificate` flag. WARNING: Currently VPC-native is not the default mode during cluster creation. In the future, this will become the default mode and can be disabled using `--no-enable-ip-alias` flag. Use `--[no-]enable-ip-alias` flag to suppress this warning. kubeconfig entry generated for test-cluster. And boom. Your cluster is now running. Since (unlike Amazon) Google’s LoadBalancer is accessed via IP address, this should be immediately available at the URL: http://35.194.87.65 which for me it indeed was. There’s not much to troubleshoot here really. As long as the gcloud SDK is on your system and functioning properly that’s all that’s really required. Everything outside of that would be cloud provider issues such as billing problems. Obviously you have to to weigh the pros and cons of each of the above approaches and decide for yourself which is the easiest and most effective for what you’re trying to do. For example, nothing is going to quite replace minikube for individual development but it’s next to useless if you’re trying to construct an on-premises microservice-oriented application at scale. Personal experience and personal preference will inform your choices. If you’re trying to learn more about how Kubernetes works or have very specific requirements that managed Kubernetes doesn’t allow for then using kops or kubespray makes sense. For instance many managed solutions may prevent certain features of Kubernetes from being available due to the feature still being alpha. If you’re worried about vendor lock-in running something you manage yourself might be preferable. For instance, kops supports many backend cloud providers and even if GKE exists, you may want your workflow to remain as unchanged as possible should you decide to migrate everything over to EC2. If you’re trying to deploy on-premises then kubespray will probably save you the most labor hours. The amount of time it takes is roughly the same as manually installing it but it has a “fire-and-forget” nature that requires less actual operator time.